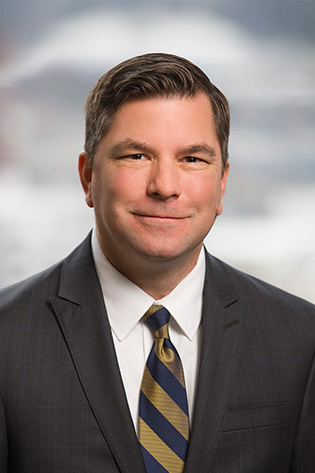 Jason Browning focuses his practice on sports law providing counsel to Major League Baseball players and player agents on all aspects of baseball. As a certified expert agent advisor with the Major League Baseball Players Association, he advises clients on player salaries and negotiations with the Clubs, and represents players through the salary arbitration process. He has a breadth of knowledge of the Collective Bargaining Agreement (CBA) between the MLBPA and the 30 member Clubs of Major League Baseball. Jason is the subject of the book, Pinstripe Defection: A Small Town Attorney’s Battle with the New York Yankees that chronicled the grievance he brought against a Major League Club that revealed the workings of signing international players. In addition, he also serves as counsel for physicians, hospitals and medical clinics in medical negligence, professional and medical liability, as well as advising clients on HIPAA compliance, quality assurance, and risk management. He also engages in commercial litigation, complex products liability matters, medical equipment utilization concerns, and transportation (trucking) litigation. Success in declaring a Cuban national professional baseball player a free agent, allowing the player to negotiate with all 30 member MLB Clubs. Representation of player agent in a fee grievance against former MLB All-Star before an independent arbitration tribunal within the jurisdiction of the MLBPA. Counsel to players and player agents through salary arbitration process. Successful representation of a foreign, Minor League affiliate in a grievance against a member club of MLB. Counsel to athlete subject to MLB’s amateur draft, ensuring player’s collegiate eligibility while advising of draft process and specifics of draft “slot” bonus structure. Advise the University of Arkansas School of Law Salary Arbitration team that competed in the Tulane School of Law-National Baseball Arbitration Competition in 2013. Successful verdict for money damages for an Arkansas food manufacturer in complex products liability litigation. Obtained multiple dismissals by dispositive motion practice for hospitals on claims involving negligent physician credentialing and retention claims.